Update: Florida's medical marijuana initiative was defeated. It received 58 percent of the vote but needed 60 percent to pass. PEMBROKE PINES, Fla. -- The debate over legalizing medical marijuana in Florida constantly generates talk of young people potentially flooding the polls. But seniors are the most reliable voters and could be key to the outcome of the measure. "You get older, you get sick, you start getting diseases, your bones stop working as well as they used to and you're presented with this pharmacopoeia of different drugs that you have to take just to get through the day," said Ben Pollara, who leads United for Care, the pro-Amendment 2 campaign. "To the extent that seniors can use marijuana to supplement or replace any of those drugs I think is a good thing." Similar arguments have been made by older people themselves, who have turned up at events across the state, even when they've been intended for more youthful crowds. Such was the case at a recent forum at Broward College: It was held at an on-campus theater, with a promise of pizza for the droves of young people who passed by. But inside, the audience was full of faces far older than expected. "My stuff is in," she says, before adding: "At 64, I'm a criminal because I have to buy this stuff on the street." Around the state, similar voices have sounded from seniors who say they've used marijuana for everything from easing pain to helping them to sleep. If they end up being representative of the overall population of older voters, it would delight supporters of Amendment 2, which requires 60 percent approval to pass. 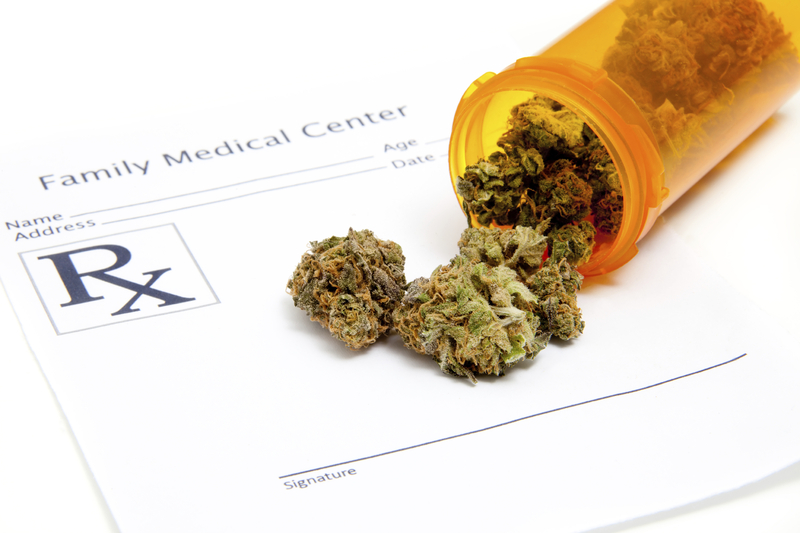 To obtain marijuana, patients would have to get a doctor's certification of their condition, which in turn would qualify them for a patient ID card they can use at licensed dispensaries. Younger voters are being targeted in several other campaigns to reform marijuana laws around the country. Measures on the ballot in Oregon and Alaska would legalize, regulate and tax the sale of marijuana for recreational use, while voters in Washington D.C. will decide whether possession should be decriminalized. "It's time for a new generation that want more freedom and want to get rid of a bad and failed old-fashioned policy," Anthony Johnson, a supporter of legalization in Oregon, told CBS News. "It's time for them to vote and lead the way." "The seniors, to a degree, are being targeted in that this is a wonderful thing for them because they don't have to use opiates, etcetera, etcetera," said Jessica Spencer, who is leading the Vote No on 2 group, and who says seniors who read the amendment are becoming aware it is riddled with holes. "Seniors are, of course, interested in protecting our younger generations." Sandi Trusso, 73, of Ocala, has been opposed to marijuana for decades, since her 28-year-old brother was killed by a driver who was drunk and high. She believes many of Amendment 2's younger supporters see it as a gateway to legalized recreational marijuana, or that medical permits will be so easy to obtain anyone can get them. "If someone's severely ill and they could control that, to limit it to that, and we knew that they could control that, who would have a problem with that?" she asked. Steve DeAngelo, the executive director of Harborside Health Center, a not-for-profit marijuana dispensary in California, says a "reefer madness" mentality is common among older people, who initially bypassed his clinic. He launched an outreach program to seniors, and they now account for about a quarter of Harborside's clients. Most opt against smoking, instead using capsules, lozenges, drinks, foods, lotions, face masks and all sorts of other products infused with cannabis, and he says he's seen incredible turnarounds among seniors who were previously taking numerous other prescription drugs. "One of the reasons that you see the high poll numbers that you do," he said, "is seniors are sick and tired of taking pharmaceuticals that have a list of side effects that look like something out of a Stephen King novel." The most ardent supporters of medical marijuana say it hasn't just cut out other drugs' side effects, but has relieved symptoms in ways those drugs couldn't. Beth Ann Krug, 61, of Delray Beach, traveled to Colorado earlier this year to see if marijuana could help her Parkinson's disease. She was amazed: Within 20 minutes, she said, her tremors were gone for the first time in years. She has not used marijuana since because she refuses to get it illegally and worries her full-time volunteer position would be jeopardized because they do drug testing. She doesn't understand the scare tactics that opponents have used. "We've taken something and we're making it be something evil when it's something very, very, very good," she said.